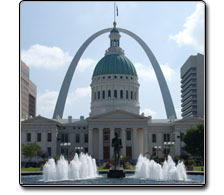 Annette P. Heller is an experienced and established trademark attorney located in the St. Louis, Missouri area with clients all over the United States. She's been practicing since 1976 and worked for Ralston Purina as an in-house Trademark and Copyright Counsel until 1983 when she started her practice limited to trademark law and copyright law. Annette primarily represents individuals, small to medium size companies and law firms that do not have trademark or copyright expertise within the firm. Regardless of the size of the case, she gives personalized service to all of her clients. She is among the top trademark attorneys in the United States in the number of applications filed with the United States Trademark Office. She has been the recipient of the Trademark Insider Award for top ranking in the nation for the number of new trademark applications received at the USPTO. She has filed over 3300 trademark applications and successfully registered over 2,200. In addition, she has handled over 225 oppositions and cancellations in the Trademark Trial and Appeal Board. Annette P. Heller's practice is limited to trademark, copyright, and unfair competition law. Enforcement of trademark and copyright rights and infringement defense, as well as trademark searches with opinion letters and registration of trademarks and trade names plus copyright applications are just a few of the things that Annette can do for you. She is available to talk with you and assist you in getting a trademark registration that fits your needs. Remember, if you have a need for a trademark, copyright, or unfair competition lawyer, just call (314) 469-2610 or e-mail her at Annette@TrademarkAtty.com to contact her. Accessing our web site and/or the sending or receipt of information to or from this site does not create an attorney-client relationship between Annette P. Heller and you. Also, communication with us, through this web site, may not be considered privileged or confidential. This web site includes published articles presented as a service to our clients and other visitors to the web site and should not be considered legal advice. Since every area of the law changes rapidly, the information in the articles at our site can become outdated. Seek advice and counsel from a qualified lawyer for any legal issue that you face before taking or delaying any action or making any decision.